Daycare VilaNova hasn't added a story. Ms. Corina started Daycare VilaNova in her home just over a year ago after working for another daycare for over 5 years. She is a wonderful teacher, and genuinely cares for the kids she looks after. She is just starting out, and like a new, small bussinesses, she could use a little help. She is hoping to raise enough funds for one large outdoor playset and one or two smaller ones for the kids to enjoy. Please help make her (and the kiddos) very happy by making a donation, small or large, so that this dream can become a reality! 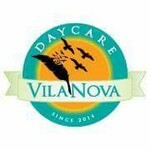 Daycare VilaNova hasn't posted any updates yet. Daycare VilaNova is managing the funds for this campaign.